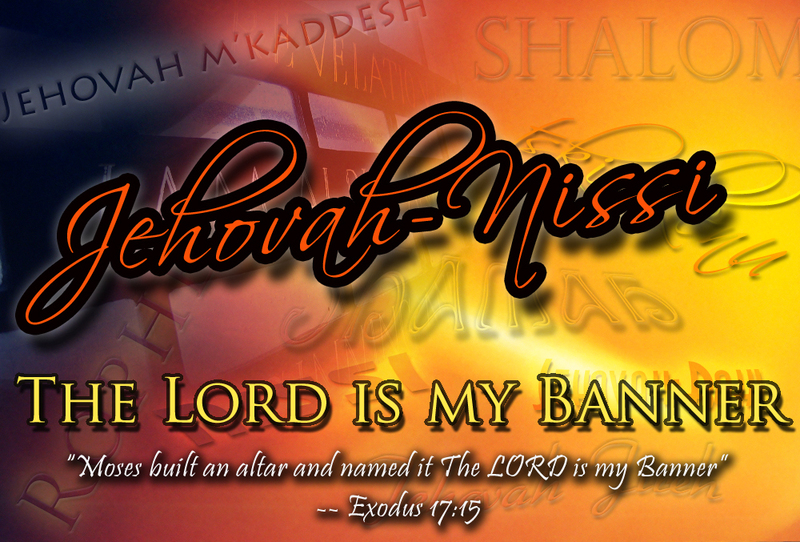 “Moses built an altar and named it Jehovah-Nissi; the Lord is my Banner.” Go back and read the account of this in the Bible. It is found in Exodus 17:8-16. What is the point? In battle, banners or poles were used to lead the army to follow. As long as you could see your banner, you could fight the enemy together, under the full strength of the army. God is the standard to which all Israel must gather. The word “nissi” means to glisten; a miracle. God is our banner of identity, our flag of victory, and our shining pole of gathering. The Lord is our rallying point–nothing else. Far too many choose political or social issues to rally around and become know for that issue. Our rallying point is the Lord and Him alone. He is our banner. He is the One who goes before us into battle. He is our Victory. As you face the battles in your life, whether they are health-related, habit-related, family-related, or spiritual in nature, know that the Lord, Jehovah-Nissi, goes before you. He is the rallying point. Look to Him, follow Him, and obey Him. He will be your victory! Our first love and loyalty is our Holy God. Thankful He is in control. . Thank you for the message!